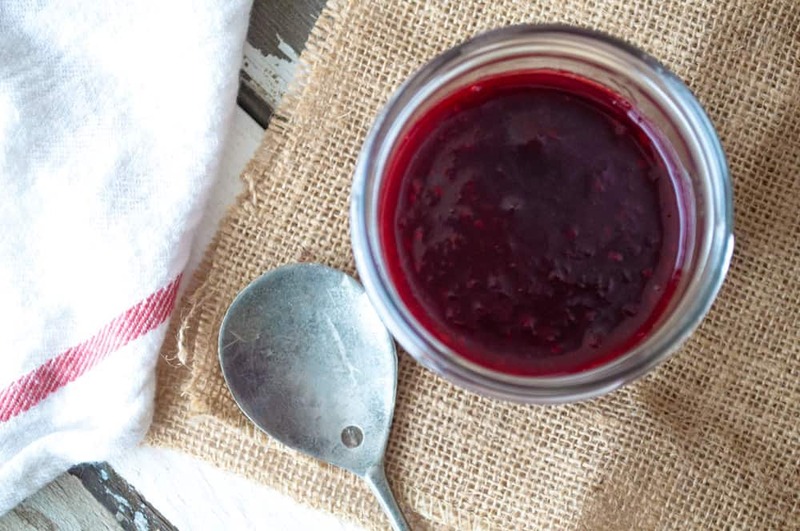 Need the PERFECT Raspberry Sauce or Puree? 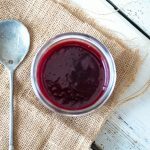 Try my easy to make Raspberry Sauce! Just like my Strawberry Puree, it’s just right for ice cream, cheesecake, yogurt and MORE! And let me tell you this sauce can’t get any easier, cook, sieve and cook some more and done. Plus it uses frozen raspberries so keep those fresh berries for snacking! Although it could be called a fruit puree raspberries come apart so quickly with a little heat, you don’t even need to puree them. Just add the water, break up with a spoon to encourage them, and they practically puree themselves. If your berries aren’t falling apart easily use the potato masher to smash them down. I use the potato masher for berries and the like more than I use it for potatoes. Priorities amiright? Please use frozen berries for this sauce; they work so well in something like this after being frozen. No need to use whole fresh berries here. Let those frozen berries carry the recipe it’s what they’re good for after a deep freeze. Plus it’s always nice to have something you’re looking forward to making with those berries you tucked n the freezer last year. Oh, let’s count the ways! Use it to flavor smoothies or yogurt parfaits. I like to drizzle it over cheesecake for a tasty combination. Why not try raspberry milkshakes? Or pour it over ice cream. 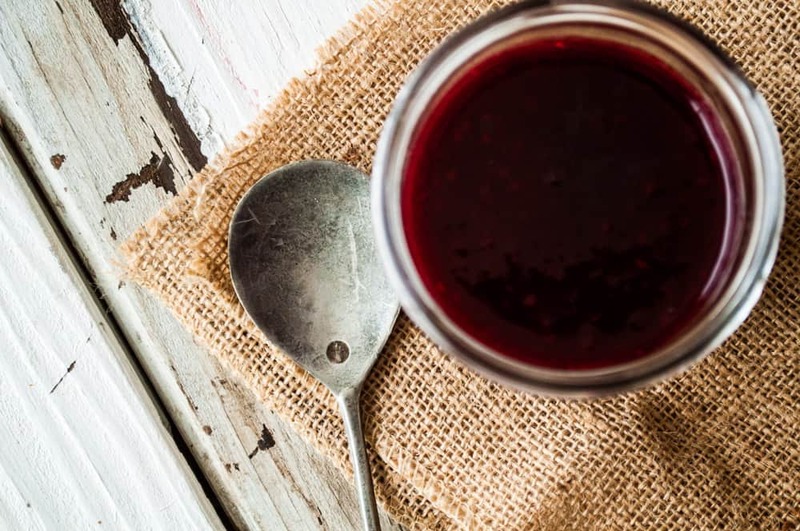 You can’t go wrong with this fruit puree; it’s practically perfect. Don’t add sugar until the very end! Do not add any sugar to this until it’s reduced and thickened up. If you do, then you’ll have jelly on your hands before you know it. Fruits and berries have natural pectins in them and will jell up on their own as they cook down. Adding sugar to this mix makes it jell faster. I found this out the hard way so learn from my mistakes! remember do not add the sugar to the raspberries until the juice is thickened up or it will turn into jam!